It's pretty much a requirement for all Spring ensembles to have a dash of color and print. 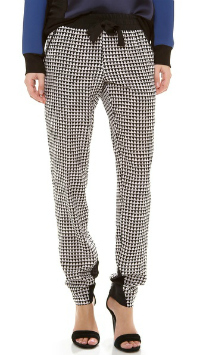 Amp up your wardrobe this season with one of these sassy printed trousers. Below are a few fabulous pairs of printed pants that are currently available online to help you achieve this celebrity "cool-girl" look. Click the link to shop your favorite pair! Which of these printed pants is your favorite? Jessica wears the best printed pants! But i'm not brave enough to wear them. Love this type of pants! Cool pants. They'd be great for summer. 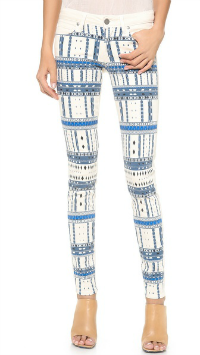 Love these pattern pants, they are all so beautiful! I think this is a super cool trend! I love it dressed down with a tee and strappy sandals. It's like wearing pajamas around all day, and it's cute! These pants are so easy to dress up or down! I adore it! 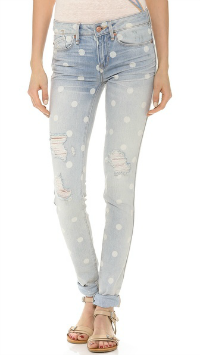 Love those Marc Jacobs polka dot jeans. They would look great paired with a vintage tee, a navy blazer and red flats! 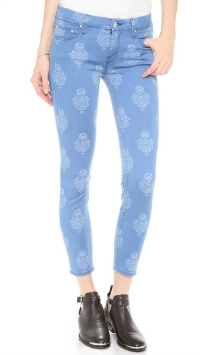 Printed pants are such a fun way to add color to your wardrobe. I recently got a pair that is blue with pink roses, can't wait to wear it. Love the funky pants Nicole's style is perfection! 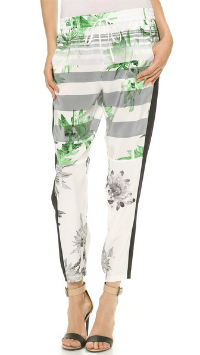 I think the printed pant is a great look for spring. Nicole Richie always nails it, in my opinion. 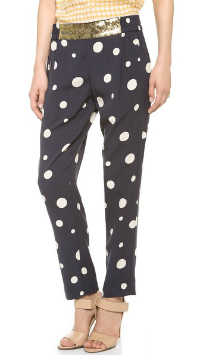 I love the look of printed pants but I've always shied away from trying this daring trend for myself.